Within the 6 acre effective range the super xpeller pro sonic bird repeller is an excellent, safe, humane way to deter birds from any property. The unit is extremely easy to setup and results begin immediately. 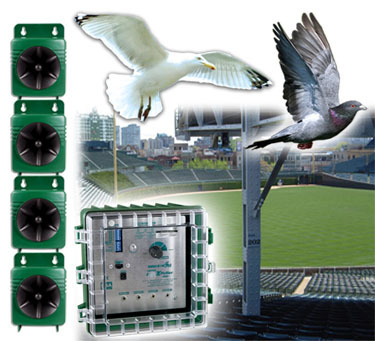 The high frequency distress calls from the 4 speaker system provide superior bird control. ©2018 Birdguard. All rights reserved.